Friday 22 February, 6pm, OWC Event. “Creating Healthy Pathways for Our Youth”, Dinner and Conversation with Josephine Zimama. Friday 26-Sunday 28 JULY, NANGA SDGs WEEKEND: CONNECTING PEOPLE AND PLANET. Limited space, further information and registration details below. Josephine is the Youth Director of the Organisation of African Communities (OAC) WA, among other voluntary roles including STOP the Violence Campaign launched through OAC and a train the trainer program for African youth. She is currently assisting with ‘Let’s Make it Happen’ program, a school-based mentoring program. Josephine will draw on her journey of growing up in Australia and issues she faced as a former refugee from South Sudan to share her passion for creating opportunities for empowering young people. “A lot of what I do involves supporting African initiatives that are built on encouraging African youth to develop skills and showcase their talents and create networks”. It also demonstrates our commitment to advancing the Sustainable Development Goals (Goal 3: Ensure healthy lives and promote well-being for all at all ages and Goal 11: Inclusive communities). WHEN? From 6pm, Friday, 22 February 2019. WHERE? One World Centre 5 King William St Bayswater. TICKETS ARE EXTREMELY LIMITED SO BOOK ING IS REQUIRED! In this workshop, Dr Elaine Lewis will provide hands-on classroom examples of how to implement the Biological Science Curriculum in the Primary years through the perspective of the Aboriginal & Torres Strait Islander Science Elaborations and Cross Curriculum Priority. Sustainable Development Goals 4 (Quality Education) & 16 (Justice). Paul, the Co-Chair and Noongar Cultural Consultant of the OWC Reconciliation Action Plan (RAP) Working Group will engage attendees with some enlightening truth-telling. Elaine, also a member of the OWC RAP Working Group, will share exciting developments arising from the implementation of the OWC’s current ‘Innovate’ RAP. Come along, bring your lunch and join in a stimulating conversation about some of the truths at the basis of the shared journey of Reconciliation we are walking together. No registration is required for this event, please contact owc@oneworldcentre.org.au or 93719133 for further information or inquiries. 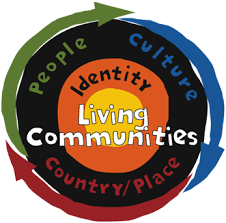 National Reconciliation Week (NRW) runs annually from 27 May to the 3 June. These dates mark two significant events in Australia’s Reconciliation journey, the 1967 Referendum and Mabo Day. The theme for NRW 2019 is GROUNDED IN TRUTH – Walking Together in Courage. This theme addresses the courage that it takes to engage in a process of speaking and listening to find a common ground of truth. You can find our more about NATIONAL RECONCILIATION WEEK here: https://www.reconciliation.org.au/national-reconciliation-week. Resources available on the NRW2019 homepage include information about the 1967 Referendum, Mabo Day, and a Time Line of Reconciliation. You can also find lists of Recommended Reading and Recommended Viewing. Dwellingup’s beautiful forest, 1.5 hours from Perth, gives the chance to reconnect with nature and each other. Participatory workshop includes: mindfulness activities, understanding the Sustainable Development Goals (SDGs), What is complexity? What is systems change?, building a common agenda, and exercises for designing collaborative solutions amongst different organisations to build a sustainable future for all. Friday evening to Sunday early afternoon. Capturing impact, and Going Beyond Business as Usual. COST – $220 waged $140 volunteers/unwaged covering workshop, simple accommodation at Nanga Bush Camp, and meals. Wednesday 7 November, 3.30-5pm. OWC Workshop. “What is a Reconciliation Action Plan? Does your school or organisation have one? : Examples of practical actions taken to develop and implement your organisation or school’s RAP ” with Dr Elaine Lewis. Thursday 8 November, 3.15 – 4.30pm . UNAA WA “Global Citizenship and Sustainability WACE Units” Professional Learning Workshop at Shenton College. Thursday 22 November, 3-5pm. AAEE and Little Green Steps WA “Noongar Yarning and Cultural Activities: Learning about Noongar Cultures in the Early Years” for early childhood educators at Cockburn Wetlands Centre. Friday December 7, 9am-3pm. AAEE WA Sustainable Education Forum at CREEC. Does your school or organisation have one? Examples of practical actions taken to develop and implement your organisation or school’s RAP. Dr Elaine Lewis will discuss the vital role of Reconciliation Action Plans (RAPs) in fostering and developing higher levels of knowledge and understanding, respectful relationships and meaningful opportunities for Aboriginal and Torres Strait Islander peoples. In workplaces, including not-for-profit organisations, RAPs may progress through four types of Reconciliation Australia plans – Reflect, Innovate, Stretch and Elevate. In schools and early learning centres a RAP may be developed to support reconciliation, employing Reconciliation Australia’s Narragunnawali platform. An alternative RAP approach in Western Australian government schools may be driven by the Department of Education’s Aboriginal Cultural Standards Framework. This presentation will elaborate on the successful development and implementation of the One World Centre’s RAP and a school RAP. These RAPs demonstrate action on the United Nations Sustainable Development Goal (SDG) 4: Quality Education and SDG 16: Peace, Justice and Strong Institutions. The session will conclude with discussion and planning time to enable links to be made to individual contexts. UNAA WA Students’ Global Goals Challenge – Implementation and Reporting Phase. This is an informal networking workshop for teachers who are interested in or currently working on SDG-linked projects at their schools. Project based learning (PBL – including challenge based learning, problem based learning, inquiry learning) is one of the core pedagogies for Global Citizenship Education, Education for Sustainable Development, and Education for the SDGs. Through programs such as the UNAA Global Goals Challenge, Young Australians’ Plan for the Planet and the Sustainable Schools Network WA, an increasing number of WA schools and teachers are running SDG-linked projects with local impact and global significance. This workshop is for educators who are interested in, or currently running student-led SDG projects in their schools. An opportunity to share challenges, successes, experiences, ideas, strategies and resources for global citizenship and sustainable development learning projects. Adults weaving workshop, with creative guidance by Noongar weaving expert Lea Taylor. All materials will be provided. Hand dyed and natural raffia will be used. This community engagement session will develop participants’ weaving skills in a relaxed setting. TIME and DATE: Saturday 25 August, 9.00am-12.00noon. In this workshop, Dr Elaine Lewis will provide classroom examples of how to implement an effective and empowering STEAM (Science, Technologies, Engineering, Arts & Mathematics) program in Early Childhood and the Primary years. The workshop will elucidate the planning, implementation and evaluation processes involved, as well as how to link your STEAM programs with the United Nations Sustainable Development Goals. Finally, future directions for school leadership, teacher education and school relationships with other organisations will be discussed. Adults painting workshop, with artistic direction by Sharyn Egan, renowned Noongar artist. The theme of the painting is Social Justice and Reconciliation, in the context of the United Nations Sustainable Development Goals (SDGs). One communal painting will be completed at this workshop, where all participants have the opportunity to contribute to the creative process. All painting materials will be provided. The completed painting will be displayed at the One World Centre, and furthermore, the design will be reproduced on a community engagement banner about the SDGs. One World Centre AGM Event. 22 September 2018 marks the beginning of Global Goals Week. The UN Sustainable Development Goals (SDGs) are an ambitious plan to ‘Transform our World’ in the face of complex ecological, social and human rights challenges which call upon all individuals and sectors of society to the urgent task of healing and securing our common world. To mark this week, Caroline Marsh will discuss Global Goals Action in WA and share examples of how young people are recognising and addressing urgent global challenges by participating in local action in their schools and communities. You are also welcome to come for the One World Centre AGM at 10:30am and/or the Friends of Oxfam AGM at 1pm, following lunch. WHEN? 11am Saturday, 22 September 2018. WHERE? One World Centre, 5 King William St Bayswater (Oxfam building). From 6pm, Sunday, 3 June 2017. 106 Petra St (SE corner Fraser St), Bicton (parking on Fraser St). TICKETS ARE EXTREMELY LIMITED SO BOOKING IS REQUIRED! This event is an initiative of the OWC’s Reconciliation Action Plan team to coincide with National Reconciliation Week (27 May – 3 June). It also demonstrates our commitment to advancing the Sustainable Development Goals (Goal 3: Ensure healthy lives and promote well-being for all at all ages). This year’s Reconciliation Week theme is “Don’t Keep History A Mystery: Learn. Share. Grow”. OWC’s global education library includes an extensive range of resources for exploring Aboriginal and Torres Straight Islander histories and cultures. 8 March. OWC Workshop. Dr Elaine Lewis. “Technologies Curriculum in the Primary Years: Embedding the Sustainability Cross Curriculum Priority and Sustainable Development Goals”. 21 March 2018. Harmony Day. One World Centre library open day. 22 March 2018. OWC Workshop. Dr Caroline Marsh. “Teach SDGs! Ideas, activities and models for teaching the UN Sustainable Development Goals in WA schools”. 27 March 2018. Asia Education Foundation “Global Goals Youth Forum” for years 9-11 students. Register Now! 5 April. OWC Workshop. Dr Elaine Lewis. “What impact has the implementation of the Aboriginal Cultural Standards Framework had in your school?”. 6th April, CREEC, “Earth Day Expo 2018”. In this workshop, Dr Elaine Lewis will provide classroom examples of how to implement a meaningful, effective and empowering Digital and Design Technologies curriculum from a sustainability perspective in the Primary years. To prepare students for future needs Focus 2018 (WA Dept of Education) highlights the importance of further action to enable student success in STEM competencies and digital technologies. In this workshop, Dr Elaine Lewis will provide classroom examples of how to implement a meaningful, effective and empowering Technologies program in the Primary years. The workshop will elucidate the planning, implementation and evaluation processes involved in implementing the Digital and Design Technologies curriculum from a Sustainability perspective. Links to the Sustainability Cross Curriculum Priority and the United Nations Sustainable Development Goals will be addressed. Finally, future directions for school leadership, teacher education and school relationships with other organisations will be discussed. Dr Elaine Lewis is the Cross Curriculum Leader at an independent public school, Perth, Western Australia. She has worked as a teacher, across K-7, for many years and in 2008 was awarded the de Laeter Medal for “Outstanding Contribution to Science Teaching” and in 2012 recognised by the Australian Association for Environmental Education for an “Outstanding Contribution to Environmental Education in Australia”. Her research interests focus on Education for Sustainability (EfS), with particular interest in Sustainable Schools WA. Dr Lewis serves on committees for the Australian Association for Environmental Education – WA Chapter and the One World Centre Inc (WA), and in these roles is involved in many school and community-based Efs initiatives. Ideas, Activities and Models for Teaching the UN Sustainable Development Goals in WA Schools. In this workshop, Dr Caroline Marsh will introduce and provide practical examples of SDG-linked teaching and learning which supports the principles, knowledge and skills in the WA Curriculum. Teaching the United Nations Sustainable Development Goals not only enriches students’ understandings of real world issues of local and global significance, it also builds the ‘global competence’ which empowers learners to act as global citizens in 21st century work, social and media environments. Dr Caroline Marsh is the Education Coordinator at the One World Centre. Caroline is a passionate educator with more than a decade’s experience lecturing in the Humanities at The University of Western Australia. Her current focus is on empowering teachers and learners to build global competencies through transformative education, including Education for Sustainable Development (ESD/UNESCO), Education for Global Citizenship (GCEd/UNESCO), and education for the United Nations Sustainable Development Goals (UNSDGs). Caroline represents the One World Centre on the UNAA WA Education Reference Group (ESD portfolio) and in the Sustainable Schools Initiative WA Alliance. Caroline believes in local action for global change: everyone can make choices and take actions in their everyday lives which have global impact and through which, together, we can transform our world and create a better future for all. A workshop for years 9-11 students focusing on the United Nations Sustainable Development Goals! Asia Education Foundation in partnership with the Department of Education WA, Murdoch University and the One World Centre are pleased to host the Global Goals Youth Forum, Perth. The Global Goals Youth Forum is a program for Years 9-11 students, designed to deepen their understanding of global issues and develop their global competencies. It will bring together around 70 students from different schools to discuss the United Nations Global Goals for Sustainable Development and propose innovative solutions to achieve positive global change using design thinking. There are 10 half-subsidised places available for government school students to take part in this forum, thanks to the support of the WA Department of Education. Join UNAA WA’s GLOBAL CITIZENSHIP SCHOOLS, participate in the Schools’ Sustainability Challenge and other global competency building activities. Have a look at the One World Centre’s SDG links and resources for links to the WA Curriculum and to SDG resources for teachers. Join CURTIN LEARNING FUTURES Network to build deep learning relationships across communities, participate in SDG challenges and explore future directions in teaching and learning for a globalised world. What impact has the implementation of the Aboriginal Cultural Standards Framework had in your school? In this workshop, Dr Elaine Lewis will discuss different school approaches to implementing the Aboriginal Cultural Standards Framework. She will also review the challenges and rewards of deeply embedding the Aboriginal and Torres Strait Islander histories and cultures Cross Curriculum Priority in a w hole school context. Focus 2018 (Dept of Education) highlights the importance of further action to implement the Aboriginal Cultural Standards Framework school wide. Dr Elaine Lewis will discuss different school approaches to implementing the Aboriginal Cultural Standards Framework. She will also review the challenges and rewards of deeply embedding the Aboriginal and Torres Strait Islander Histories and Cultures cross curriculum priority, by referring to a case study of one metropolitan primary school. Opportunities will be provided to reflect on the planning, implementation and evaluation processes involved in embedding the Framework and Aboriginal priority across learning areas. What is the Earth Day Expo? The Earth Day Expo is a whole day excursion filled with fun, interactive activities that empower young people to think creatively and critically about how to generate sustainable change. Partner organisations from government, private industry and community sectors support this event. One World Centre will be there! Earth Day is celebrated by more than 200 countries around the world. This day reminds us to take responsibility for what we use and how we use it. It is a day to think of the environmental challengeswe face and how to solve them. Internationally, Earth Day is held on 22 April each year. We celebrate it on a different date to provide the opportunity for primary school students to participate. How does the Earth Day Expo link with the WA Curriculum? The Earth Day Expo offers integrated, hands-on experiences that address STEM, HaSS and the Arts; and embed the cross-curriculum priorities of Sustainability and A&TSI Histories and Cultures. “Fantastic day. The stalls were age appropriate and kept everyone engaged. Dr Elaine Lewis will address the challenges and rewards of deeply embedding the Aboriginal and Torres Strait Islander histories and cultures Cross Curriculum Priority and the Aboriginal Cultural Standards Framework in a whole school context. She will refer to a 5 year case study in a WA primary school context and reflect on the planning, implementation and evaluation processes involved in embedding the Aboriginal priority and Framework across learning areas. TIME and DATE: Thursday 26 October. The Western Australian Curriculum acknowledges the importance of the Aboriginal and Torres Strait Islander Histories and Cultures cross curriculum priority. This priority, together with the Aboriginal Cultural Standards Framework and the Western Australian Humanities and Social Sciences Curriculum, support schools in the State to become more culturally responsive. This presentation addresses the challenges to deeply embed the Aboriginal priority across a wide range of learning areas and meaningfully engage with the Framework. A case study was conducted over five years (2013-2017) involving a primary school in the Perth Metropolitan Area. The whole school, consisting of eighteen classes from Kindy to Year 6, participated. This case study aimed to elucidate the planning, implementation and evaluation processes involved in embedding the Aboriginal priority where there was a natural fit in different learning areas, and the implementation of the Framework. Several learning areas will be examined to determine where and how the Aboriginal priority was embedded. Project results include evidence of effective and meaningful embedding of the Aboriginal priority, positive stakeholder feedback, conservation links and high levels of student engagement. However, it was found that the implementation of the Framework required adjustment in a school with low numbers of Aboriginal students. Finally, future directions for school leadership, teacher education and school relationships with other organisations will be discussed. Dr Elaine Lewis is the Cross Curriculum Coordinator at an independent public school, Perth, Western Australia. She has worked as a teacher, across K-7, for many years and in 2008 was awarded the de Laeter Medal for “Outstanding Contribution to Science Teaching”. Her research interests focus on Education for Sustainability (EfS), with particular interest in the Sustainable Schools WA initiative. Elaine completed her doctoral research in this area, conducting a longitudinal study of the impact of EfS at a primary school. In 2012 Elaine was presented with the national “Educator of the Year” award by the Australian Association for Environmental Education. More recently, in 2015, the United Nations Association of Australia acknowledged Elaine’s work in school carbon emission reduction action by presentation of the “World Environment Day” award (Schools category). Dr Lewis serves on committees for the Australian Association for Environmental Education – WA Chapter and the One World Centre Inc (WA), and in these roles is involved in many school and community-based EfS initiatives. She also has experience as a unit coordinator in environmental education at Murdoch University and as a sessional lecturer in education at Edith Cowan University Australia. TIME and DATE: Wednesday 8 November. A “Focus on STEM, especially in the early years” was considered imperative as a school priority this year, as stated in Directions for Schools: Focus 2017 by the Director General of the Department of Education of Western Australia. This presentation provides classroom examples of how to implement an effective and empowering STEM (Science, Technologies, Engineering and Mathematics) program in Early Childhood. The workshop will elucidate the planning, implementation and evaluation processes involved in embedding not only an early years STEM program, but a STEAM (Science, Digital and Design Technologies, Engineering, the Arts and Mathematics) program. Project results include evidence of effective and meaningful embedding of STEAM, positive stakeholder feedback, conservation links and high levels of student engagement. Furthermore, links with the United Nations Sustainable Development Goals will be addressed. Finally, future directions for school leadership, teacher education and school relationships with other organisations will be discussed. TIME and DATE: Thursday 23 November. A focus on STEM has been considered imperative as a school priority in recent years, as demonstrated by the Western Australian Department of Education’s promotion of new STEM practices in Teacher Development Schools through the STEM Innovation Partnerships program. This presentation provides classroom examples of how to implement an effective and empowering STEM (Science, Technologies, Engineering and Mathematics) program in the Primary years. The workshop will elucidate the planning, implementation and evaluation processes involved in embedding not only a Primary STEM program, but a STEAM (Science, Digital and Design Technologies, Engineering, the Arts and Mathematics) program. Project results include evidence of effective and meaningful embedding of STEAM, positive stakeholder feedback, conservation links and high levels of student engagement. Furthermore, links with the United Nations Sustainable Development Goals will be addressed. Finally, future directions for school leadership, teacher education and school relationships with other organisations will be discussed. How deeply have you embedded the Sustainability Cross Curriculum Priority in your school? In this workshop, Dr Elaine Lewis will address the challenge of meaningfully embedding the Sustainability cross curriculum priority in a whole school context. She will provide examples which elucidate the planning, implementation and evaluation processes involved in integrating the Sustainability priority across different learning areas and teaching it within a ‘whole systems thinking’ perspective. TIME and DATE: Thursday 30 November. A case study was conducted between 2011-2017 involving a primary school in the Perth Metropolitan Area. The whole school, consisting of eighteen classes from Kindy to Year 6, participated. This case study aimed to elucidate the planning, implementation and evaluation processes involved in integrating the Sustainability priority where there was a natural fit in different learning areas. Several learning areas will be examined to determine where and how the Sustainability priority was embedded. Furthermore, the United Nations Sustainable Development Goals and lessons learnt at the 2017 World Environmental Education Congress will be reviewed in relation to the Sustainability priority. Project results include evidence of effective and meaningful embedding of the Sustainability priority, positive stakeholder feedback, conservation links and high levels of student engagement. Finally, future directions for school leadership, teacher education and school relationships with other organisations will be discussed. It is often said that to know who you are you must understand where you come from. Well in 1985 Scott Christie and Joan Carlin started the One World Centre journey and tonight we celebrate the vision, the people and achievements in the 32 years past. See and hear from the workers and volunteers who have shaped the centre. Guaranteed to provide inspiration for what is possible, laughter and maybe a tear or two for those who have passed on. And what better way to share these stories than with a meal and a few drinks on a Friday night. WHERE? One World Centre, 5 King William St Bayswater. Dinner and drinks provided. All funds raised will be used to support efforts to extend the message of the sustainable development goals into the community. The Medical Association for the Prevention of War (WA Branch) and The One World Centre invite you to a talk by veteran National Serviceman Brian Cleaver and an introduction to MAPW curriculum materials for History teachers focusing on “The Enduring Effects of War”. Wars endure in people’s everyday lives well after they have come to an official end. The effects of war last for lifetimes and generations, and can have a devastating impact on an individual’s physical, social and psychological wellbeing. Our understanding and awareness of these effects can empower us to make choices and act in ways which build peaceful societies that promote the security and wellbeing of all. Mr Brian Cleaver will discuss his war experiences as a conscript in the Australian armed forces in Vietnam and reflect upon the enduring impacts that his exposure to battle have had on his life. Dr Caroline Marsh will introduce curriculum materials produced by the MAPW (Australia) for the Year 10 History Curriculum. The information and ideas presented will also be relevant to Secondary HASS teachers interested in teaching and learning for ethical understanding, intercultural awareness and global citizenship, and for upper-level History teachers covering Australia’s relationship with Asia and Australia’s involvement in the Vietnam/American War. This event will be of interest to teachers and members of the community who seek greater awareness of the enduring effects of war and to participate in action for peaceful and inclusive societies for all. Brian Cleaver, a National Serviceman conscript, was sent to fight for Australia in Vietnam in 1967. The trauma of Brian’s experiences at the Battles of Coral and Balmoral led to him suffer Post Traumatic Stress Disorder. 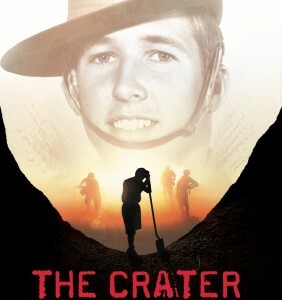 The story of Brian’s war experiences and his subsequent search for the mass grave of 42 soldiers of the North Vietnamese Army was presented in the film “The Crater: A true Vietnam War Story” (David Bradbury (dir.) Frontline Films, 2015)). Global Education for Early Childhood. Are you an educator who would like to bring rich and diverse learning experiences into an early childhood setting? This One World Centre workshop focuses on ideas, skills and resources that will enable you to assist children in developing knowledgeable and confident self identities (EYLF 1.3) through learning experiences that explore the global dimension of children’s connections with and contributions to the world. (EYLF 2) You will also have the opportunity to explore the One World Centre’s collection of globally focused resources for early childhood. Please find details below of an upcoming One World Centre workshop for early childhood and lower primary educators. Sophie is a passionate young 22 year old working with Social Reinvestment WA (SRWA). Sophie will tell her own story of social and political engagement and explain the transformative and collaborative work of SRWA. SRWA is an Aboriginal led coalition of fifteen not-for-profits, working to reduce the disproportionate number of Aboriginal and Torres Strait islander people in our prison and criminal justice system here in WA. This work links to SUSTAINABLE DEVELOPMENT GOAL 10: Reduce inequality within and among countries. SRWA hopes to achieve parity in incarceration rates in a generation, by advocating for policies centred on healthy families, smart justice, and safe communities. Have you deeply and meaningfully embedded the Aboriginal and Torres Strait Islander Histories and Cultures Cross Curriculum Priority across learning areas? Do you have Aboriginal students in your class? Have you used the Aboriginal Cultural Standards Framework (Department of Education) to improve cultural responsiveness and ensure Aboriginal students are confident and successful learners? The ‘journey to recovery’ that we can all contribute to, once we understand the context. Keys to building cross-cultural trust, and relationship, within our school community. Tim and Danny are also open to exploring, openly and respectfully, any questions or dilemmas that you bring to the workshop. Danny Ford is a Noongar trainer and community leader whose background includes a long career at senior executive officer level in the Western Australian Government. Danny is well known for his strong leadership, his clear thinking and his ability to engage with a wide range of people. Tim Muirhead (csdnetwork.com.au) has worked extensively in the area of Aboriginal/non-Aboriginal relations. He specialises in building trust and collaboration between Aboriginal and non-Aboriginal people in workplaces and communities. Tim has gained a reputation as a community development practitioner, trainer, facilitator and consultant of considerable skill and passion. Do you want to develop your professional knowledge and practice in global citizenship education and education for sustainable development? There are strong links between the UN Sustainable Development Goals (SDGs) and the values, principles of teaching and learning, priorities, capabilities and knowledge content of the WA Curriculum. This One World Centre workshop introduces the SDGs , focusing, in particular, on the curriculum-linked teaching and learning resources and the authentic, real-world learning opportunities that can be developed through engagement with the Global Goals. Free resources will be provided. The workshop will be delivered by Dr Peter Devereux and Dr Caroline Marsh. TO BOOK: Click to book! Fresh from his recent US tour, Peter will share some of his experiences and latest thinking on sustainability. Peter’s presentation continues the One World Centre’s focus on the Sustainable Development Goals. Stay for lunch at noon to be followed by the One World Centre Annual General Meeting at 1pm. An evening of good food and interesting listening! Enjoy a sumptuous dinner with drinks provided as the One World Centre’s focus on the Sustainable Development Goals, see https://sustainabledevelopment.un.org/ takes a more personal emphasis. Hear Lindsay share her personal journey towards living a more sustainable lifestyle. Come along and join us and learn how to create a simple water filter, learn about the sustainable development goals and test your knowledge about water use. Lots of other interesting and inspiring activities to participate in. All interested applicants will be invited to attend an in house information session. Why: to provide you with information about being an OWC Professional Learning Presenter and about the One World Centre and the complementary resources available in the OWC library. When: Wednesday 17 February 2016, 4.00-­‐5.30pm. Where: One World Centre, 5 King William St, Bayswater. To further information or to register your interest please contact Lynne on: coordinator@oneworldcentre.org.au. For further information about the One World Centre please go to: http://www.oneworldcentre.org.au . The new Sustainable Development Goals agreed by 193 countries! How can we make it real? What if? … The One World Centre was working with you and other West Australian communities and organisations to connect with the world in a spirit of inspiration and hope. “17 Goals for One World” will be an enjoyable, informative and thought-provoking get-together. It will include an interactive session, drawing out global and local interactions for justice and sustainability. This will be followed by a short AGM that will review One World Centre’s challenges and opportunities and seek collective engagement and support for its future work. You are needed to make this real! One World Centre’s AGM this year wants collective action to take centre stage in 2015-2016, as together we think what “17 Goals for One World” means for our work and our vibrant community of supporters, members and friends. ‘He Named Me Malala’ is an intimate portrait of Nobel Peace Prize Laureate Malala Yousafzai, who was targeted by the Taliban and severely wounded by a gunshot when returning home on her school bus in Pakistan’s Swat Valley. The then 15-year-old (she is now 18) was singled out, along with her father, for advocating for girls’ education, and the attack on her sparked an outcry from supporters around the world. She miraculously survived and is now a leading campaigner for girls’ education globally as co-founder of the Malala Fund. Acclaimed documentary film maker Davis Guggenheim (An Inconvenient Truth) shows us how Malala, her father Zia and her family are committed to fighting for education for all girls worldwide. The film gives us an inside glimpse into this extraordinary young girl’s life – from her close relationship with her father who inspired her love for education, to her impassioned speeches at the United Nations, to her everyday life with her parents and brothers. Fabulous Quiz Night for those who like to challenge their brain and help others at the same time! Time: 6 -7pm (presentation followed by time to chat). This is a no frills presentation. Bring your own drinks and snacks as you require. The presentation will discuss Electric Vehicles, Autonomous Vehicles (driver less cars) and the disruption these technologies will have on the automobile and oil industries. 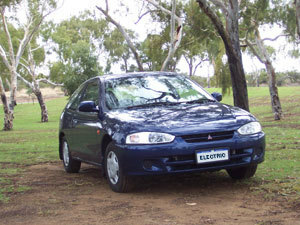 It will cover the electric cars currently available in Australia and what we should expect over the next few years. The presentation topics will range from horse manure to the demise of the traffic cop. The One World Centre and the Medical Association for Prevention of War will present a 2 hour workshop for lower secondary History Teachers. Teachers often feel conflicted about teaching war history in the secondary classroom. This workshop provides teachers with a new resource produced by the History Teachers Association of Victoria, which aims to support teachers who want to inspire critical understanding of the real and lasting impact of war on veterans, civilians and society. Participants will receive a digital copy of the resource which has been designed to align with the Australian Curriculum: History. The workshop will be introduced by BRIAN CLEAVER, who featured in David Bradbury’s recent film “The Crater – a Vietnam war story”. The third in the Speakers Series is coming up on 11 September. September’s topic is: Who do we think we are? The One World Centre is very fortunate to have Ramdas Sankaran as the presenter for the Friday 11th September Speakers Series. Ramdas is the Executive Director of the Multicultural Services Centre of WA and a former President of the Ethnic Communities Council of WA and Dy Chair of the Federation of Ethnic Communities Councils of Australia. He is a member of the Australian Institute of Management and the Australian Association of Social Workers. Awarded Western Australian Premier’s Multicultural Ambassadors Award, 2003; “in recognition of his exceptional leadership in advancing multiculturalism, human rights and anti-racism at state and Commonwealth levels.” Awarded Medal (OAM) of the Order of Australia in the general division in 2011 for “service to multiculturalism, and to the community of Western Australia. His presentation is titled Who do we think we are? More information and booking details are available on the attached flyer. This is a no frills presentation. Bring your own drinks and snacks. Do come a little earlier and check out the Fair Trade shop. After the resounding success of the first event in the Speaker Series the next event is coming up quickly. Writing Myself into Knowing or reflections on being Vulnerable. A presentation by Dr Joy Denise Scott on everyday complexities of her life as a university teacher in Shanghai: exploring what it means to live on the borderlands psychologically, socially and culturally. Time: 6 -7 pm (presentation followed by time to chat). Walking the Camino is a total immersion experience that captures the trials and tribulations associated with a group of modern pilgrims who decide to walk the ancient path, the Camino de Santiago. This sacred path stretches westward across Spain to the city of Santiago de Compostela where the bones of the apostle St. James are said to be buried. Walking The Camino: Six Ways To Santiago chronicles the life-altering journey of six modern-day pilgrims as they cope with blisters, exhaustion, loneliness, and self-doubt on their Camino de Santiago trek. Walking The Camino is guaranteed to magnetically immerse you in the struggles and victories of adventurers from all walks of life. Increase your knowledge of pressing global issues, and how they are linked to the Australian Curriculum. Participate in a wide range of practical activities exploring global themes: interdependence; social justice and human rights; identity and cultural diversity; peace building and conflict resolution; sustainable futures. Work together to develop lesson plans in particular areas of interest. Take away ideas and resources ready to use in the classroom. Includes a one year membership of the One World Centre.